I am a challenged athlete. I am 6 years old!!! My family, friends, and people that love me started Team JJ to assist me in helping others and to help me. 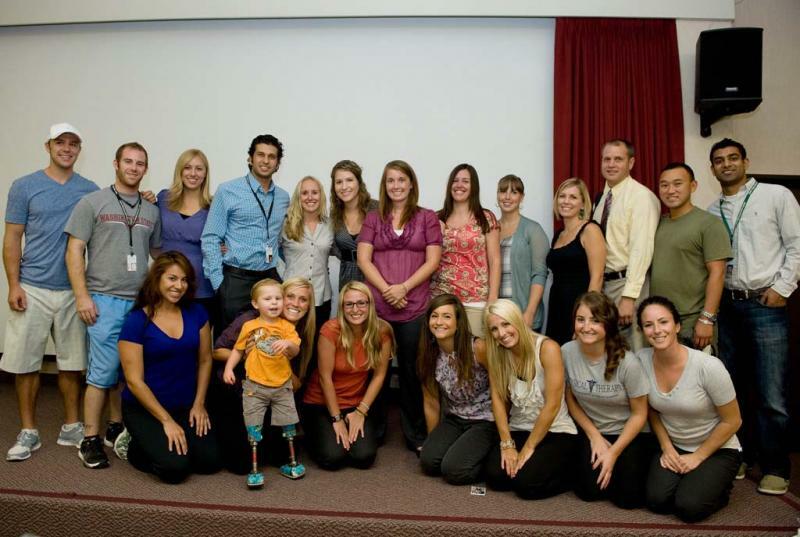 Please explore my website to learn more about me and how you can help challenged athletes around the world. 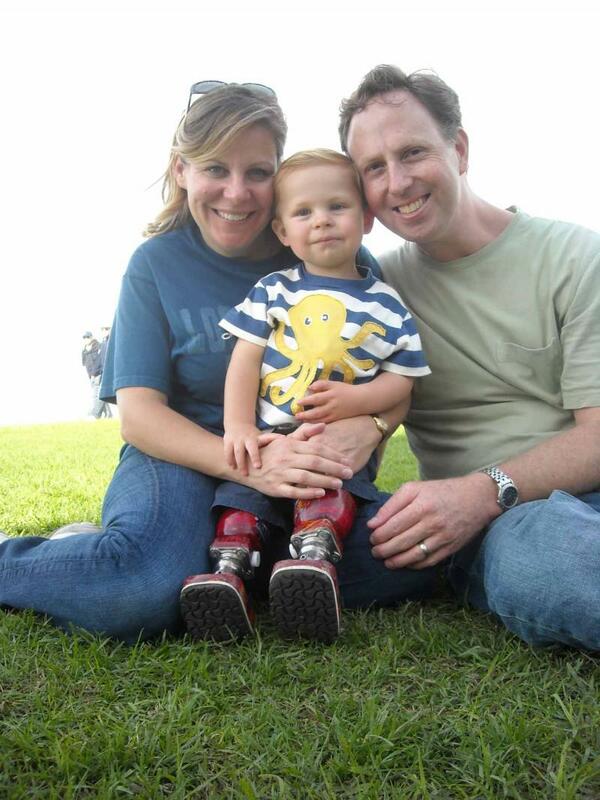 Team JJ consists of Joshua Miller, his support crew made up of family and friends, financial supporters, and the athletes that compete in Joshua’s name to benefit people with physical challenges. 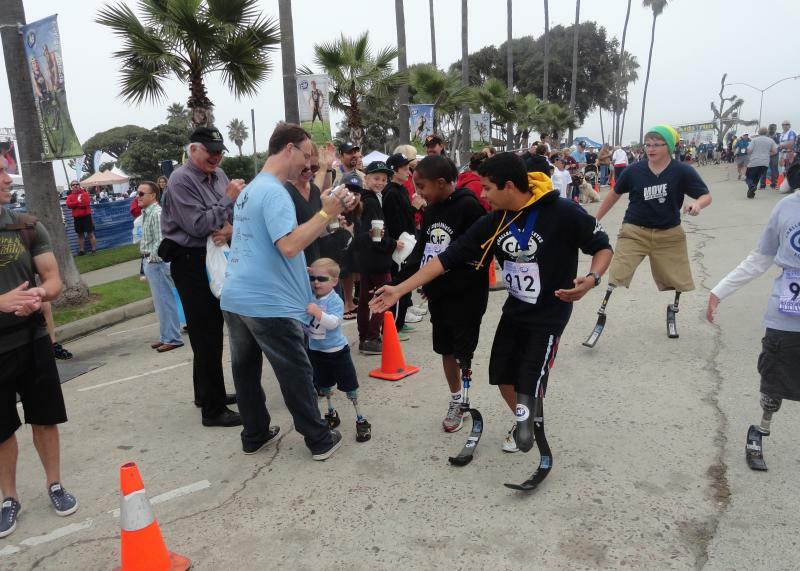 Team JJ's first activity was competing in the 19th Annual San Diego Triathlon held at La Jolla Cove, October 2011. 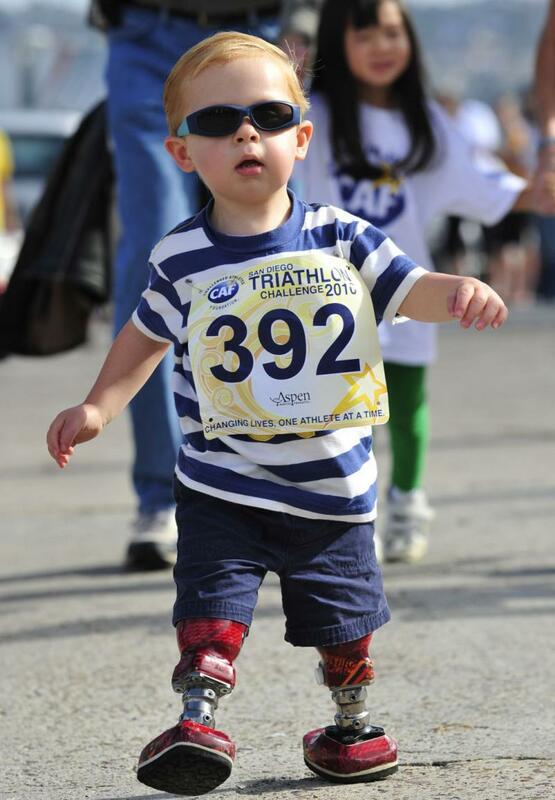 The triathlon is one event created by Challenged Athletes Foundation to help those with disabilities lead a more active lifestyle by the awarding of grants to obtain adaptive equipment and training. 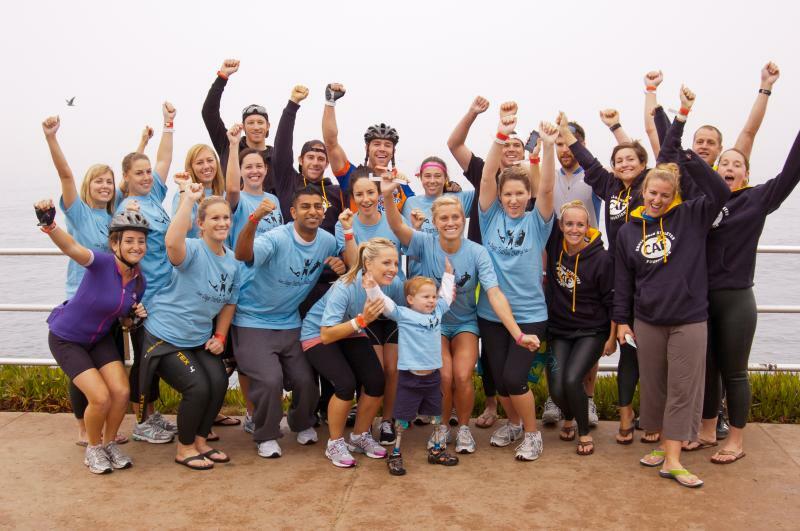 Team JJ - Joshua with 20 of our 25 athletes competing in Joshua's name at the 19th Annual San Diego Triathlon Challenge October 23, 2011 in La Jolla, CA. Most of the athletes are current students attending Western University. 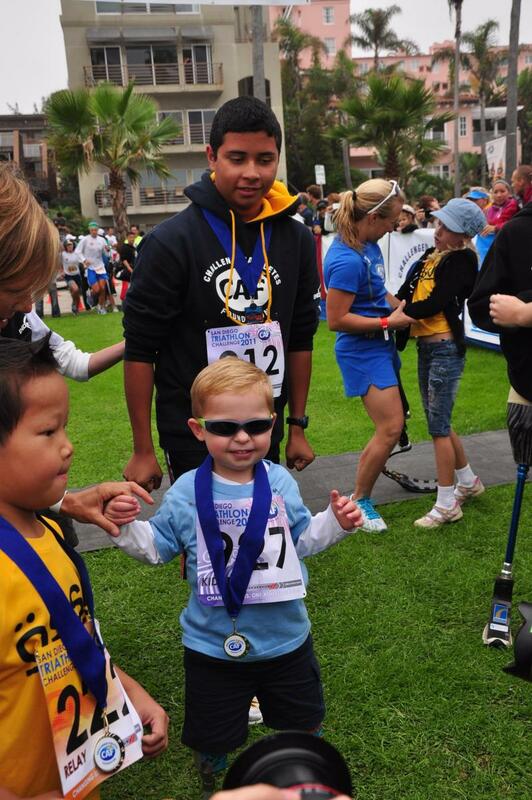 JJ running in the kids' fun run in the 2011 SDTC. 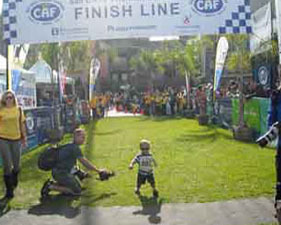 JJ ran to his dad during the race when he saw him on the sidelines. It was quite funny.